Google is celebrating the launch of the Android N developer preview today with... a deal? 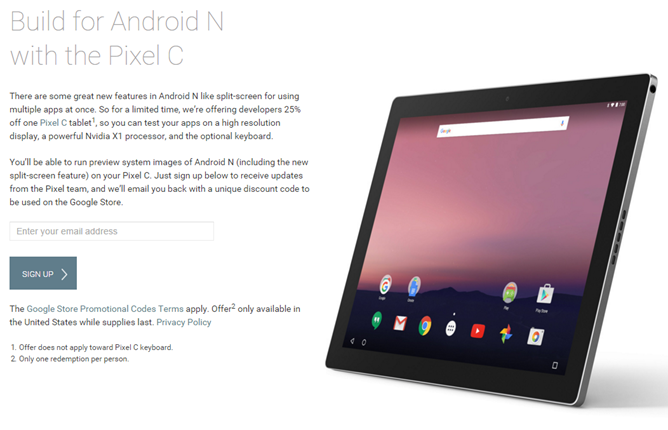 Well, a deal for developers, specifically on the Pixel C. Google is shaving 25% off the MSRP of the device for developers who request a discount code through this URL. However, it appears it's just for the 64GB variant - meaning you'll still pay $450. We're reaching out to Google to see if it applies to the 32GB version as well, but it doesn't look like it at this time. Update: We've confirmed that the discount applies to both 32 and 64 GB versions. Anyway, that's a 25% discount. You may ask: shouldn't I shop around a bit and see if there's a better deal elsewhere? Frankly, no. Because Google is the only authorized reseller of the Pixel C (at least here in the US), and they've sold so few that there really isn't even an appreciable market for used ones at this point. 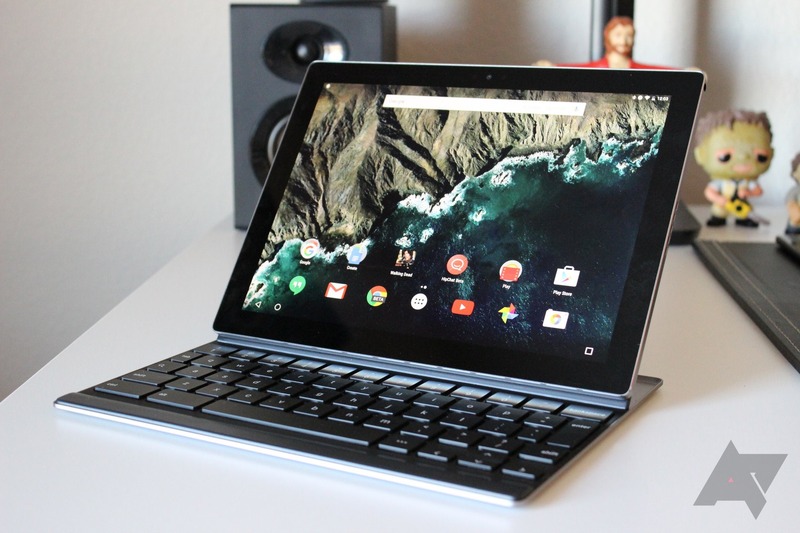 If you want a Pixel C, you'll be paying full retail unless you're a developer who can take advantage of this sweet deal designed to bolster your tablet development. 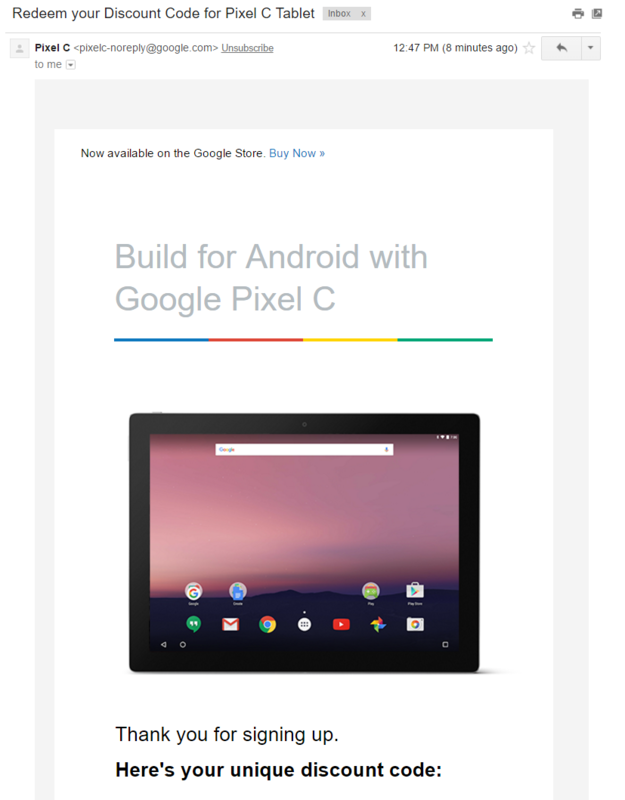 Google has never even put the damn thing on discount before, so developers are getting the very first swing at a cheaper Pixel C.
At $375 for 32GB and $450 for 64GB, the Pixel C becomes a lot more attractive, substantially undercutting competitors like the iPad Air 2 or Microsoft Surface 3. 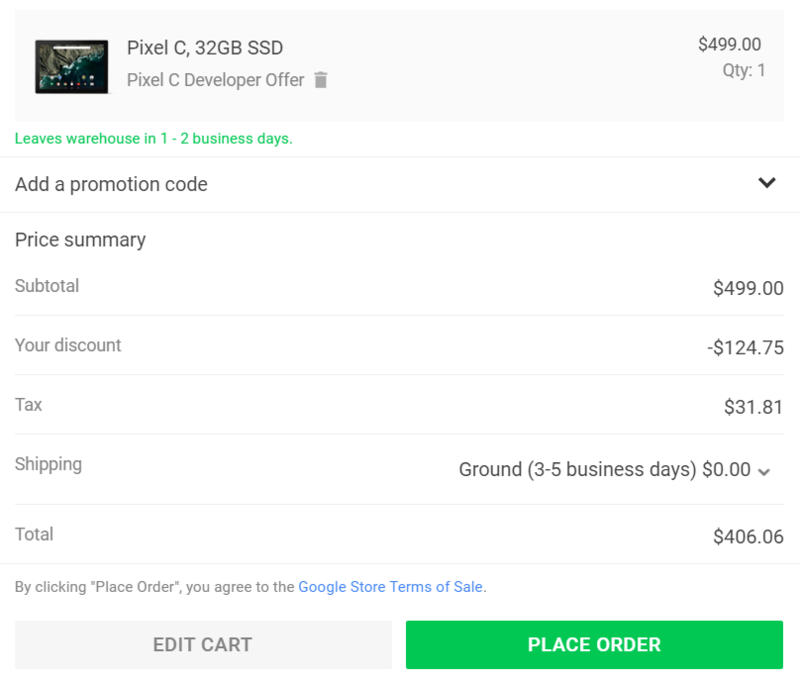 This means you can pick up the Pixel C and its keyboard for a grand total of $525 (or $600 if you go with 64GB), should you be so inclined (sorry, no discount on the keyboard). Just enter this code during checkout on the Google Store for your developer discount, good for 25% off of one Pixel C tablet. Your discount code is subject to supply availability and must be redeemed no later than July 15th.